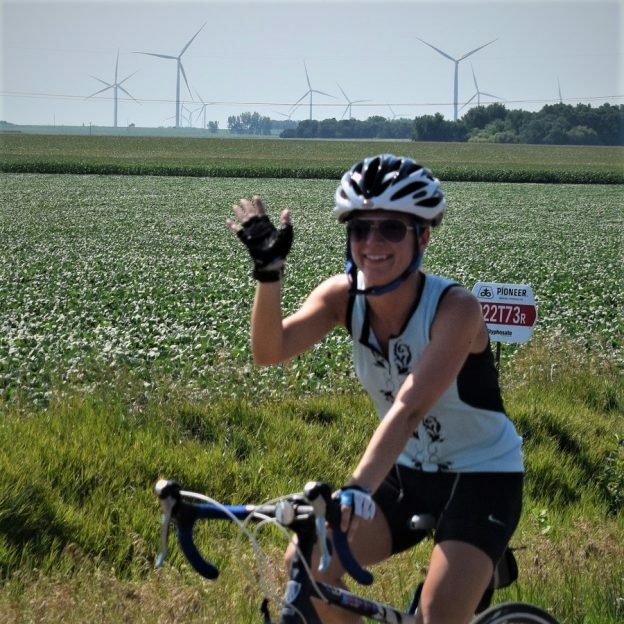 Fond summer memories on 2017 RAGBRAI, as this biker chick and dude ride across Iowa enjoying the fresh country air, corn fields and wind turbines along the way. 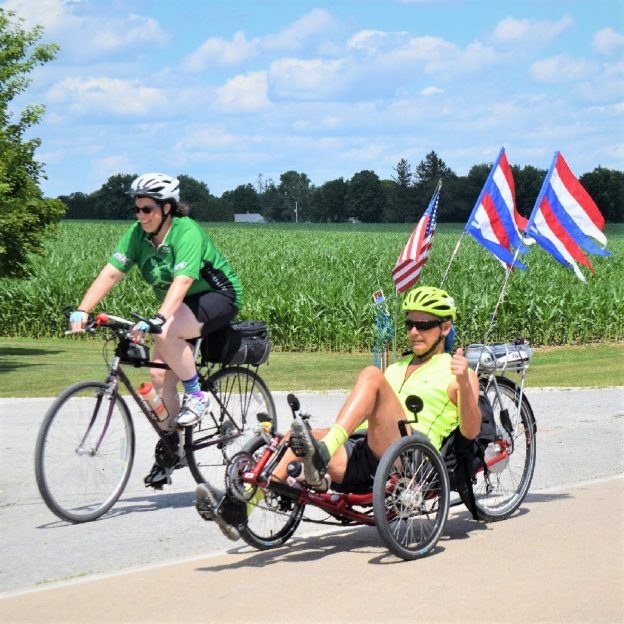 Attend or watch here, at HFB, as we cover RAGBRAI Announcement Party discovering the 2018 route. 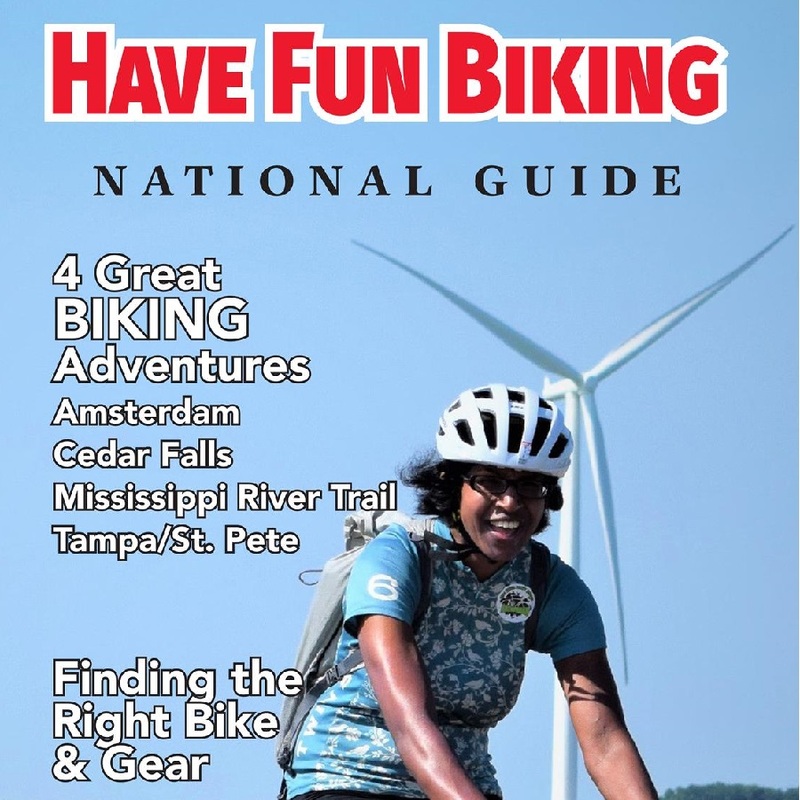 This entry was posted in News and tagged bike commute, Bike Iowa, bike touring, bike tourism, biker chick, biker dude, fresh country air, fun bike picture, Iowa Bike Maps, Iowa Bike rides, pictureperfect, RAGBRAI, ride across Iowa, riding into the sun, road bike, sun glasses, wind turbines on January 25, 2018 by Russ Lowthian.